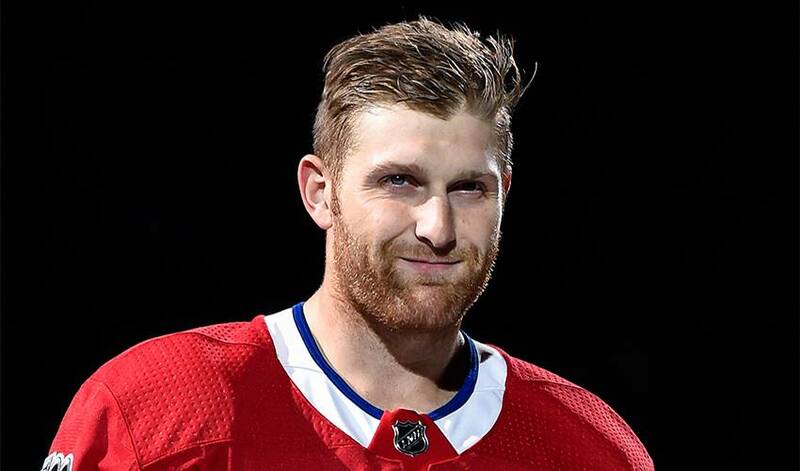 The 2018 Stanley Cup playoffs started out that way for Montreal Canadiens defenceman Karl Alzner. After the native of Burnaby, B.C. failed to make the playoffs for only the second time in eight years, he and his wife Mandy and their two young children set out on a European vacation, visiting countries like England, Scotland and Ireland. Alzner would occasionally surf the internet to check out the scores. Then, all of sudden, he was interested. The Washington Capitals, the team that drafted Alzner fifth overall in 2007, and the team he played for in his first seven NHL seasons, finally had advanced past the second round. It was the Capitals year. They defeated the Tampa Bay Lightning in the East final and took care of the expansion Vegas Golden Knights in the Stanley Cup championship series. Alzner watched with interest after he returned from Europe, cheering for his former teammates, many of them close friends. But Alzner thought to himself, he wasn’t the only player who moved on after the Capitals won back-to-back Presidents’ Trophies. There were others like Justin Williams, Marcus Johansson and Nate Schmidt who were no longer in Washington. Once he got over that feeling, he was on their side and kept in touch with many of his former teammates through texts. The 30-year-old Alzner particularly was happy for goalie Braden Holtby, defenceman John Carlson and forward Jay Beagle. After Alzner’s successful junior career had ended, he won back-to-back AHL Calder Cup championships with the Capitals’ AHL affiliate, the Hershey Bears, with Beagle, Carlson and Holtby. But he also was excited for Capitals captain Alex Ovechkin. “This was the one accomplishment Ovie needed to cement his legacy,” Alzner said. Alzner has a put together a pretty impressive legacy, too. He won Cyclone Taylor Cup British Columbia junior B championship at age 15 with the 2003-04 Richmond Sockeyes, helped Canada win the under-18 Ivan Hlinka Memorial Cup in 2006, World junior gold medals in 2007 and 2008 as well as the aforementioned Calder Cup titles. Alzner was good enough to be invited to the Canadian summer-time training camp for the 2014 Winter Olympics. He also had this incredible consecutive games played streak that reached 622 outings, the 12th longest streak in league history. That streak was halted at the beginning of the season when Canadiens coach Claude Julien decided not to dress Alzner for Montreal’s opener. Still, Alzner became one of only three defencemen, along with Jay Bouwmeester and Keith Yandle, to play in more than 500 consecutive games since 1943-44. Now he has extra inspiration from his friends last spring. “This past summer was one of the hardest working summers,” he said. “I was healthy and not battling through injuries. That allowed me to train harder.